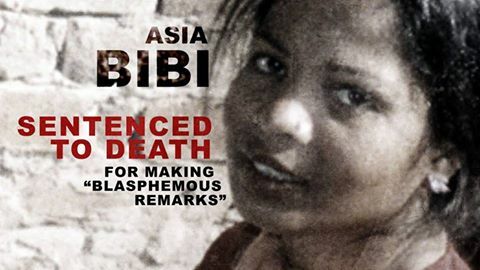 Asia Bibi Case is adjourned in Supreme Court Islamabad today (October 13, 2016). 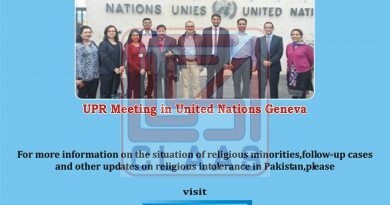 The hearing was adjourned after one of the three-member bench, Justice Iqbal Hamid-ur-Rehman, recused on the grounds that he also heard the Salman Taseer case.A new bench of lawyers will be formed and then the next hearing date will be announced. At the time of hearing many extremists were there against Asia Bibi’s release. 12 Lawyers were stand with the Lawyer who was against Asia Bibi. Please see below the link of Express tribune newspaper the warning by Lal Masjid against Asia Bibi release. Also find attached the handout in Urdu distributed by Pakistan Sunni Tehreek.